Bonjour! :The “word” that’s going to stuck in your head for long time even after you left France! Cinema is my passion but not my profession. 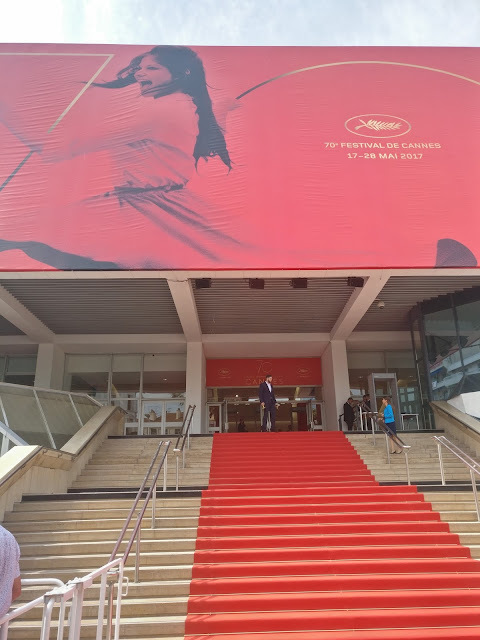 Attending Cannes film festival was on my bucket list since long time. So, last year I applied for an accreditation and my request got accepted! I was really excited to attend the festival. I landed in PARIS and board the train to Antibes, My humble abode for a week. Next morning I reached Cannes and collected my badge. And so the madness begins! Waiting in line for hours, working out the impossible schedule, running from one theater to another, missing out on films, discovering great films by accident, grabbing quick bites in between the screenings, having impossible conversations with French people, watching a film on the beach, listening to people talking movie business, meeting cinephiles from around the world, walking the red carpet and gazing at stars (literally and figuratively). 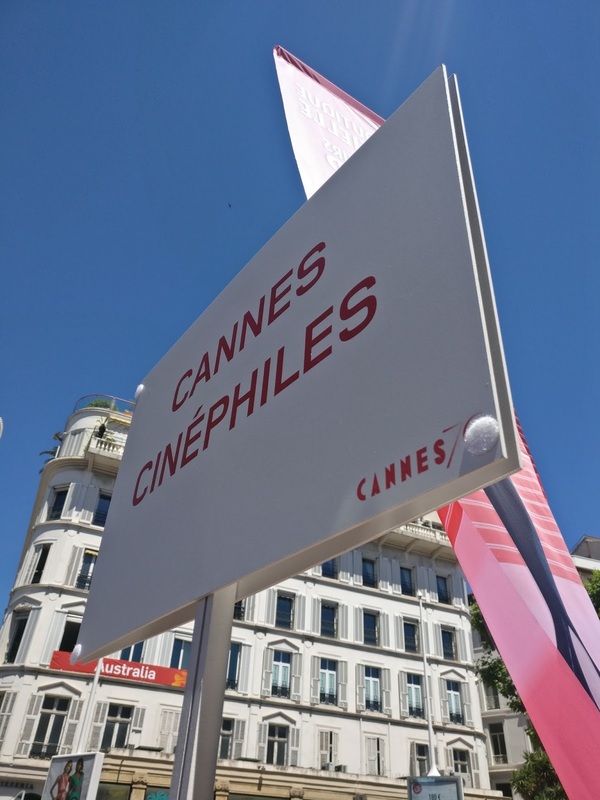 Apply for Cannes cinephiles accreditation. Best way to get in. Write a passionate motivation letter outlining how much you love cinema and how it influenced you over the years. Attach your writings (if any) or any cinema related membership card/badge. Having a cinephiles’ badge enables you to attend screenings at all venues but with some restrictions. I know everyone want to walk the red carpet. There are two ways to watch a film at Grand Théâtre Lumiere(Main competition films premiere’s venue) : First, you need an invitation ticket along with the badge. Second, via last minute access (if you don’t have an invitation letter). It’s difficult to get in via last minute access for morning and evening screenings. Best time to get in via last minute access is 4 pm screenings. If you’re adamant on watching a particular movie at Grand Theatre Lumiere. Best bet is to stand with a placard (I suggest near last minute access line) requesting people for an invitation ticket. 3-4 hrs before the screening time. With an invitation ticket and a badge no one can stop you from watching the film! It’s time consuming and maybe you will get frustrated and eventually give up. So, I recommend you to give it an hour(or till you give up), if you can’t find anyone then move on. Evening screenings at GTL require Evening dress for women and Dark Suit with a tie for men. Don’t just restrict yourself to Grand Theatre Lumiere. There’s a lot more to explore during the Cannes film festival. Debussy theater screens Un certain regard films. Invitation ticket not required. Also, check out films at Salle bunuel, salle bazin & salle du soixantieme (Invitation tickets for the same can be procured at cannes cinephiles’ office on daily basis). Special screenings, Cannes classics and films out of competition generally plays here. Then there’s a parallel section like Directors’ fortnight and International Critic’s week films which screens at Noga Hilton and Salle Miramar respectively(Invitation ticket not required). Do check out to discover hidden gems. There are 4-5 different queues at each venue and cinephiles’ badge holders queue has last priority everywhere. 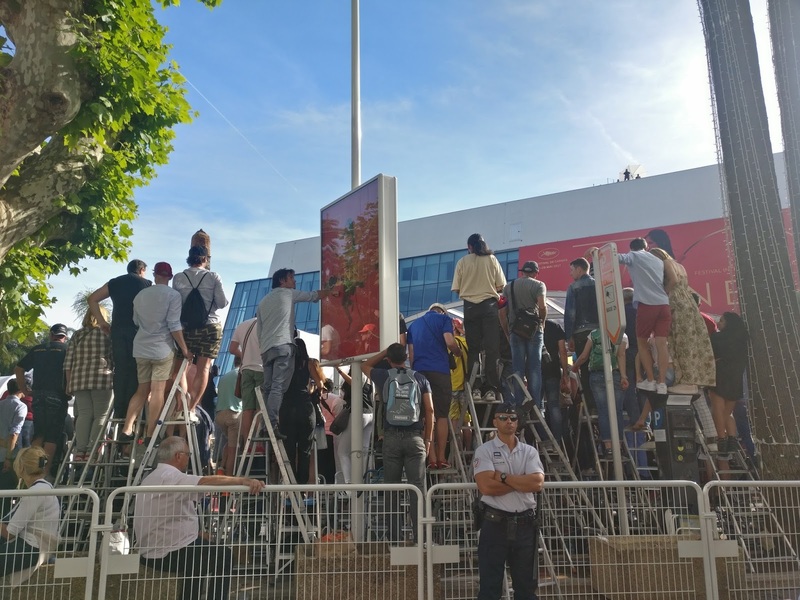 But there is a separate screening schedule for cannes cinephiles’ badge holders with screenings at theatres far from the main centre. 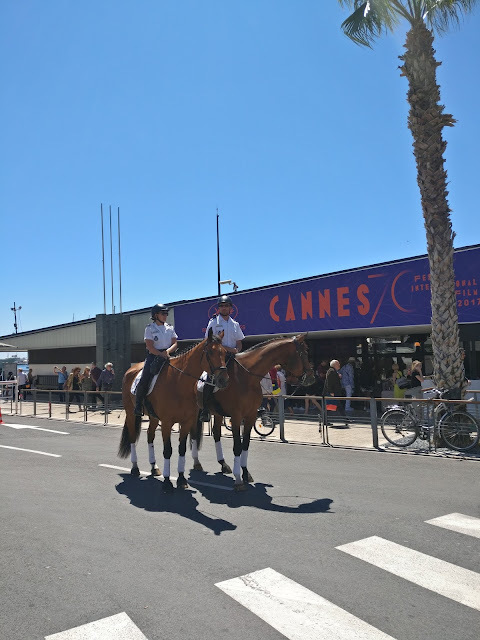 To catch missed competition films, heads towards cannes la bocca. 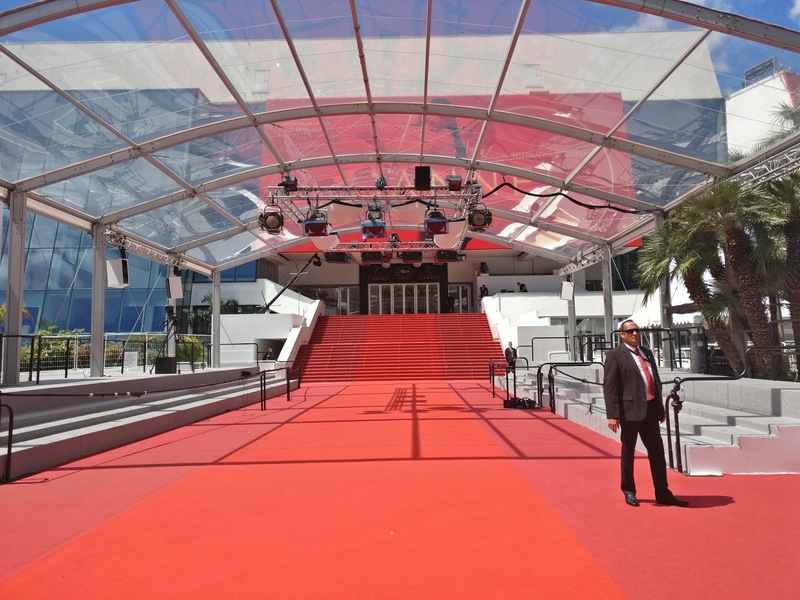 Not just competition films but other films too screens at La Licorne theatre for cannes cinephiles’ badge holders. One singular queue there. Since Cinephile’s badge has been given last priority access to all screenings except at Salle bunuel, salle bazin & salle du soixantieme. So, your best chances to watch films are at these theaters (after collecting the invitation ticket from cinephile’s office). 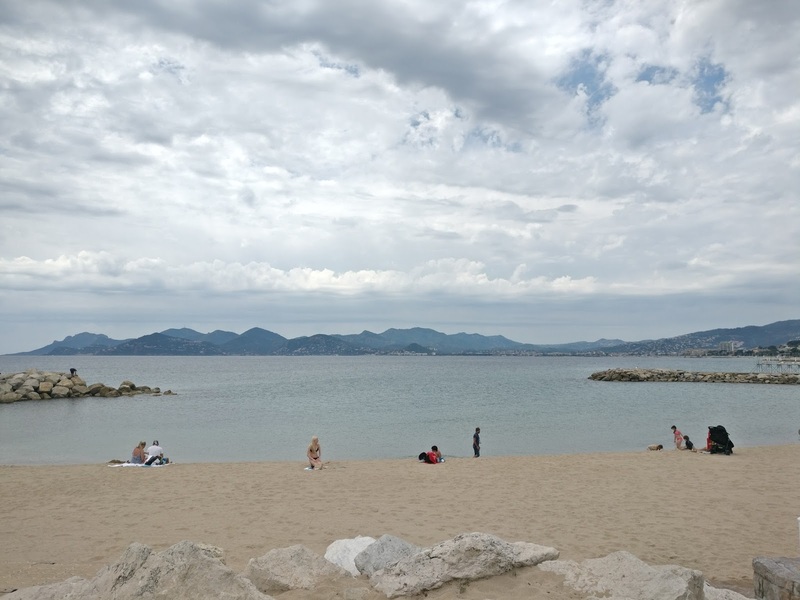 Cannes Cinephile’s office is just a short walk away from Debussy theatre. For every other screenings I recommend to reach at least one to one and an half before the screening time and for Last minute access at Grand Theatre Lumiere I suggest at least 2 hours window. My favorite experience was watching a film on the beach (Cinema de la Plage) which is free and open for all. Do not miss this experience. Singular queue. Watching a film under the stars with a blanket on and cool breeze blowing your face. Sweet! If you’re into celebrity watching, glamour and all that razzmatazz. 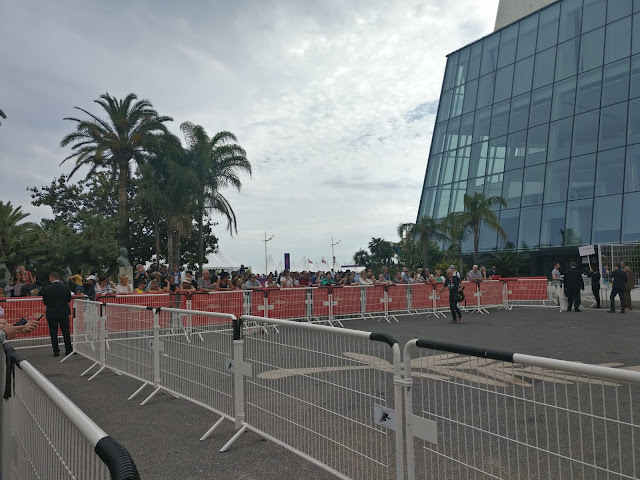 I suggest you to go to barricade near GTL at least two hours before the screening since they close this area when celebrities arrive. As for accommodation, if you want to stay in Cannes only, you should book an accomadation at least 2-3 months ago for sane prices​. 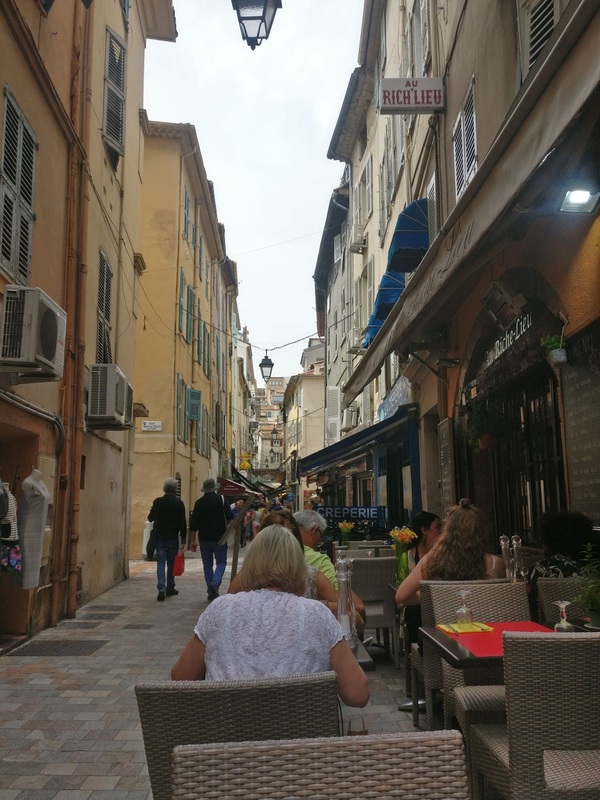 Alternatively, you can try in nearby towns like Cannes la bocca (5 mins by train), Antibes (10 mins by train) or Nice (35 mins by train). Lastly, for dinner since there’s no time for lunch (quick bite of panini poulet/jambon took care of my lunch) I suggest you to head towards the cozy lanes behind Hotel de ville. Great ambience, good food and relatively cheaper. P.S. Don’t just restrict yourself to Cannes film festival, try to explore the beaches nearby, Le sequet, Cannes la bocca, Antibes and Nice. All the best and may the movie gods be with you! Lucky you could go there. I just see the pictures in Instagram. Beautiful pictures you got and a great article. The article is so well-written and the pics are stunning! I’m so jealous! I’ve always wanted to go there! So I have to admit that the Cannes Film Festival isnt on my bucket list though I do have several Movie themed bucket list items like to see certain classics or to see a Movie in one of the Last Drive In Theaters (Which I just did!!!) 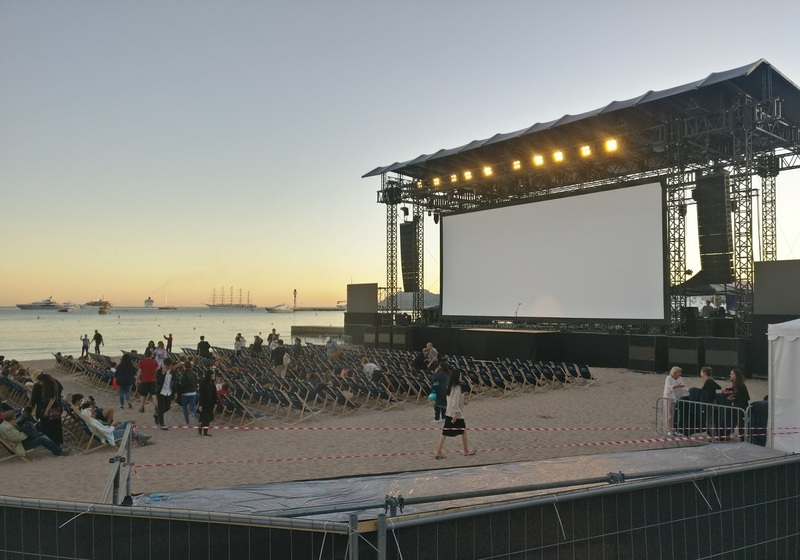 However, I can easily see why the Cannes Film Festival would be on someone's bucket list especially with some of my cinephile friends! I love your tips and insider info cause If I am going I would love to watch a film on the beach (Cinema de la Plage). Did you actually go swimming? Cause that water looks very cold! Cannes is one of those places that I would love to visit after Nice. I remember the film with Mr. Bean, this place has a lot of exceptional views apart from the film festival itself. I'm sure you enjoyed your visit. So did you get to see a lot of famous actors/actresses? 🙂 This is a nice and different experience! Thanks for all your tips. I imagine that this is on many's bucket lists, and given the artists that are on site, it becomes quite challenging to get in to see things, or artists themselves. Thanks for sharing your experience with us readers! This seems like such a fun time! I've always watched Cannes coverage and thought about how awesome it would be to attend this event. I love film so much. Oh, this would be so wonderful! I used to be in the industry, and always wanted to attended. Thanks for sharing additional information!